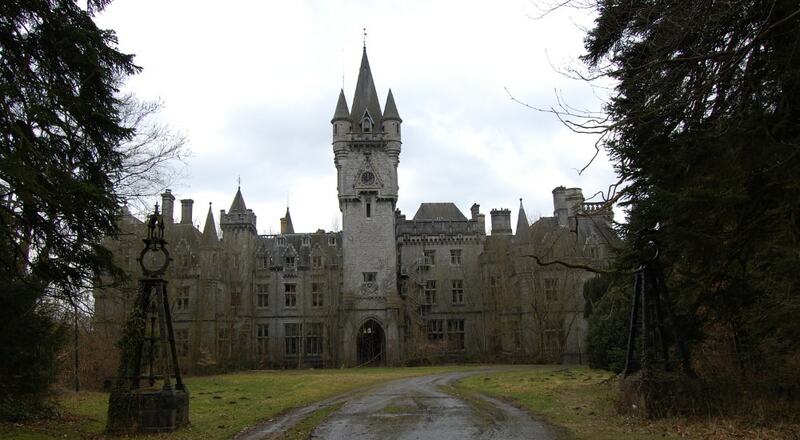 Miranda Castle is a 19th-century neo-Gothic castle, located in the Belgium region of the Ardennes. It was built in 1866 by the English architect Edward Milner under commission from the Liedekerke-De Beaufort family, who had left their previous home, Veves Castle, during the French Revolution. A portion of the Battle of the Bulge took place on the property, and it was during that time, the Chateau was occupied by German forces. As of June 2016, the Chateau has been acquired and is now off-limits listed as 'private property'. Sadly, Chateau Miranda has now been demolished. They finally brought down the tower in October 2017.